We’ll admit it: we lost a little interest in W Magazine when it switched from a monthly magazine to “volumes” issued every other month. The last time the publication took our forum’s fancy was back in November 2017 with Margot Robbie on the cover. Now, exactly a year later, W has our attention again with its annual art issue. 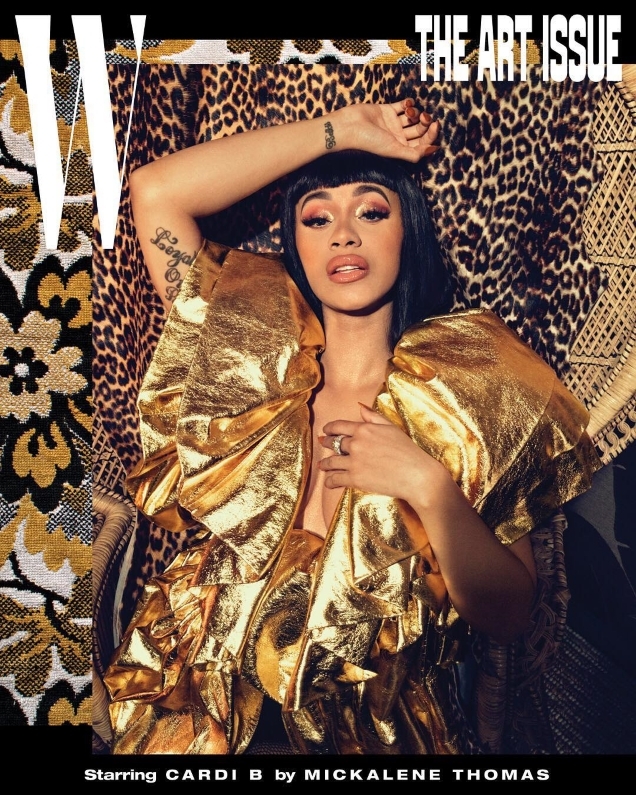 Cardi B, the Billboard-topping rapper (and former CR Fashion Book cover girl), is featured on the cover, glammed up to the max and decked out in gold Rodarte, photographed by Mickalene Thomas and styled by Kollin Carter. Despite W Magazine‘s best efforts, our forum members weren’t feeling it. “This magazine’s days are numbered… haven’t bought a single issue since they went from monthly to volume,” stated GERGIN, the moment the cover came to light. “What’s with the art issues? And what’s with Cardi B fronting one?” asked EstfaniaAbaddon. “The devil works hard, but Cardi’s PR team works harder. Does she deserve these covers? I doubt it, but definitely not an ART issue for her,” MDNA chimed in. “I don’t want to see her on covers – but I’m starting to think the backlash against Cardi B will be so strong that things will boomerang around twice as strongly in her favor,” wrote tigerrouge. “RIP W Magazine,” slammed RMDV. Tacky or terrific? Sound off and await more from the issue here.